Looking at these things, you can decide if the copier will fit your needs. 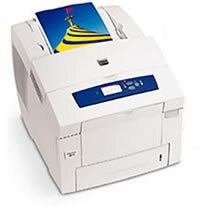 In addition, examine the online reviews for the copier that you are considering. In some cases, you can learn a lot about whether a specific copier will meet your needs based on reviews. We always recommend that customers do their research beforehand about the copier they want because this will lead to the highest satisfaction. The customer does not end up with a copier that fails to meet their requirements. The retailer you buy from also matters. Always check the reputation of the company that you are visiting to know that they will stand behind their products and warranties.